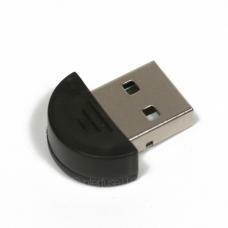 Quickly convert your non-bluetooth pc to bluetooth enabled. Easy to install, just plug it in, let Windows install the driver and restart your computer to find Bluetooth settings added to the Windows Control Panel. You may 'Search' windows control panel to find settings, access 'Devices and Printers' or 'Hardware' to find your new Bluetooth connection. This simple adapter will allow you to connect to bluetooth devices. Compatible for Windows 98, 98se, Me, 2000, XP Vista and 7.